Regular readers may have noticed that it’s been a little quiet here just lately. We’ve been away on holiday for the past couple of weeks – sixteen days in a lovely spot on the north coast of Tenerife. During that time, we ate an endless array of delicious things: pork, paella, tapas, more pork, perfectly ripe fruit, seafood, cheese, honey, even more pork. It was all excellent. And did I mention the pork? Boy, do the Spanish know how to do pork! But, alas, all good things come to an end, and we’re now back in England – a place where the fruit is never ripe and the pork never has enough fat. So, to cheer things up, it’s time to return to The Prawn Cocktail Years. It’s the tail end of the asparagus season, so I really have to finish off the asparagus recipes before it’s too late. 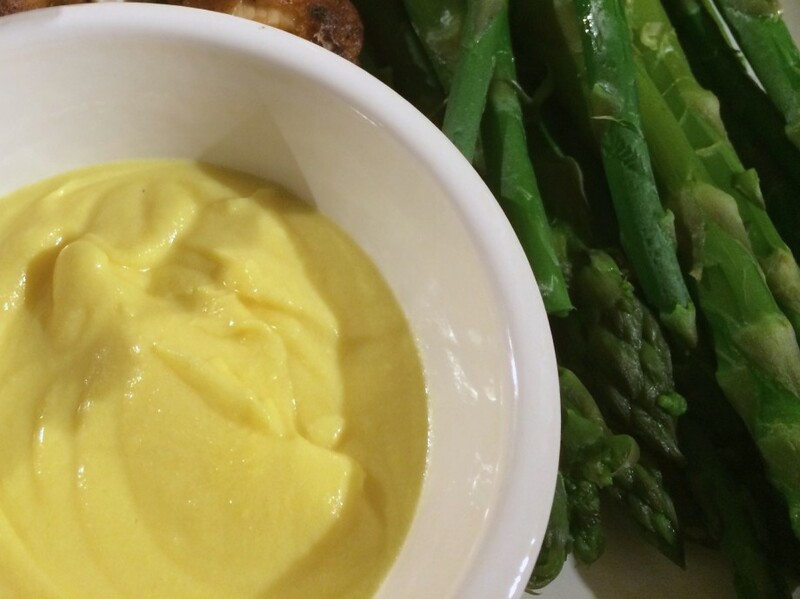 To welcome us back I decided on the last of the ‘asparagus with sauce’ set: Asparagus with Cooked Salad Cream. Cooked salad cream is an old-fashioned English salad dressing, but is rarely made at home these days and has pretty much been replaced by the ubiquitous Heinz version. I’ve never tried making my own, so I was interested to see how it turned out. 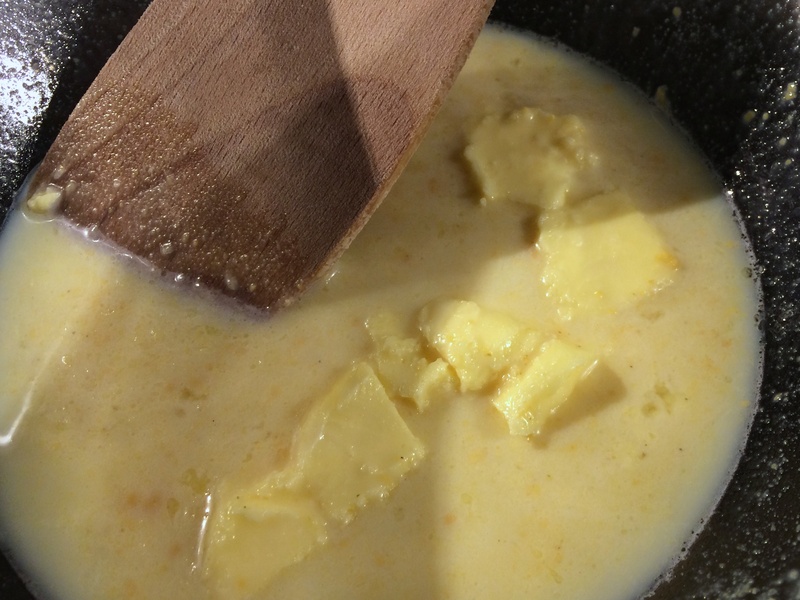 It’s all very simple – put milk, sugar, mustard, salt and butter in a bowl over a pan of gently simmering water, and stir until the butter melts. Then stir in beaten egg and vinegar, and keep stirring until it thickens. Once thickened, leave the sauce to cool before serving. It made a fairly pleasant sauce. A little too sweet, I think – I’d probably cut back on the sugar next time, but nice nonetheless. It certainly went well with the asparagus, but all in all, I’d say this was my least favourite of the four sauces I’ve made. Cooked Salad Cream! Odd concept. I’ve never seen that on a menu. To me this one tasted less like salad cream than one of the earlier ones Dave made. This one was too sweet for me. I didn’t really like the sweetness with the asparagus if I’m honest. And it was a little too thick and custard-like for me. I think this is my least favourite of the dips we’ve had for asparagus. If I’m honest my favourite thing to go with asparagus is butter. Just simple butter.